Products that are safer to use in your home, close to the ones you love. Need Help? We’re Available 24/7. Call Now! 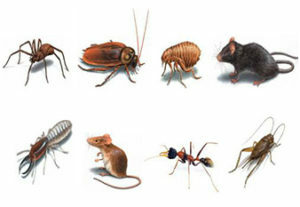 Pest Control with NO Long-Term Contracts Required! Ask About Our Pest Control, Wildlife Services, Termite Inspections, Termite Treatment Services, Bed Bug Control and Exterminator Programs. Available For Military Personnel… Click and Print our Coupon. I highly recommend Envirotech. Billy showed up when scheduled, explained everything, and did a thorough job all around my house. I appreciate people that take pride in their work these days. Sometime between two and three years ago my house was attacked by the Great Ant Invasion. I found EnviroTech online, called them up and haven't had a problem since. Billy has been phenomenal. His product/technique has kept my half acre of house, pool and yard insect free since his first visit. He is prompt, efficient and patient with my schedule constraints. Love this business and highly recommend! As owners of rental properties it is important to have a professional exterminator in your contacts. We have been using EnviroTech for a couple of years now. Billy Howard is always professional, informative, and prompt. I will continue using him on all our properties and highly recommend him for yours. Billy Howard was extremely professional! We needed a last minute Termite Inspection to close on a refinance. I called him at 4 pm, he was at our house the next morning at 8:30 am and emailed us the clear certificate immediately, so we were able to close that afternoon. There are excellent reviews on the internet for this company, and I agree! 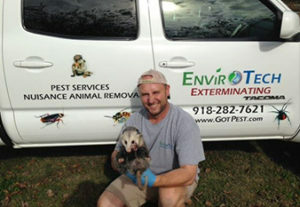 I have been very happy with their program and recommend their pest control services to anybody needing it. I have noticed a much improved situation with my rental properties. If your looking for an exterminator, they are an excellent choice. I have four homes located in Broken Arrow and Bixby that they do regular service on. I appreciate the professionalism and attention to detail. We had them treat one home we were selling for termites and that is how we first came to using them.